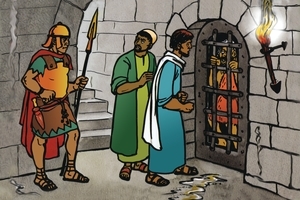 Outline: Story of Barabbas dramatized. Compares him to the listener-- Jesus came and died to set us free, took our place just as He took Barabbas' place. Ends with sinner's prayer.